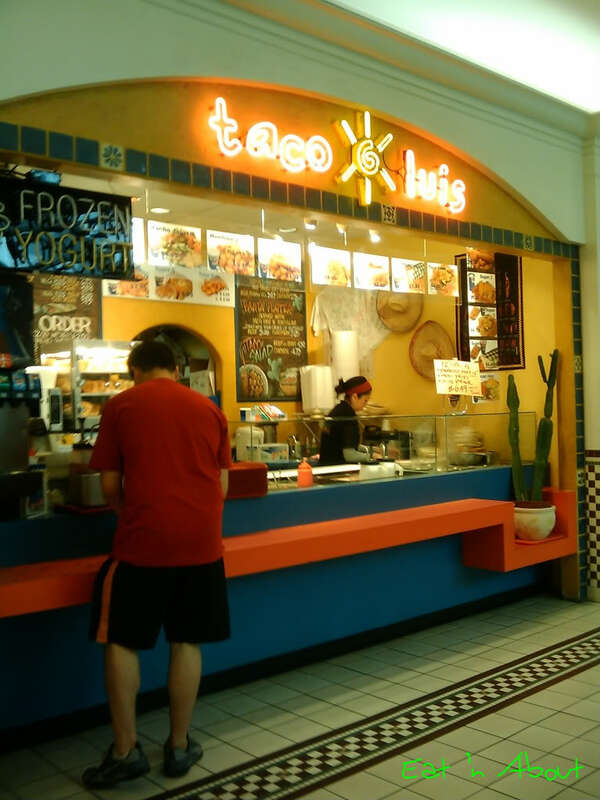 I think Taco Luis at the food court at Lansdowne Mall is pretty famous, particularily to the students at Kwantlen College (it even has a fan page on Facebook). It’s with good reason, it has big portions and small prices. Boyfriend frequented the place during his days at Kwantlen. He must’ve frequent it very very much, ‘cuz the owner knows him by name! But I went by myself this time, so I got no special treatment. However, even without the special treatment you can see my portion size is pretty big. I ordered the Mexifries Supreme (Deluxe?) which comes with a drink for ~$5.80. It would be an extra few cents for chicken. I had beef. 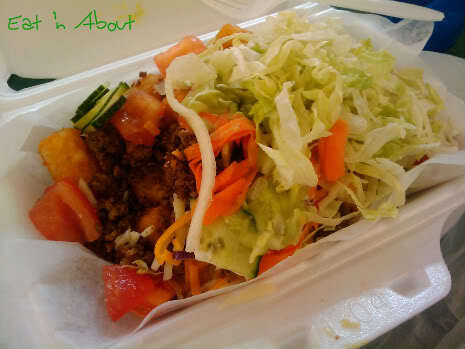 It comes with mexifries on the bottom, with copious amounts of veggies (shredded carrots, lettuce, cucumbers, tomatoes, onions, jalapeno peppers, banana peppers, etc) on top. Sauces include homemade guacamole and sour cream. It was a very very good and filling lunch. Ah, so you’ve been to this mexican gem in Richmond. You certainly can’t beat the quantity, prices and attitude. I just wish that they had a more flavourful salsa, but you can’t have everything at a fast food type outlet. You definitely won’t go away hungry, just don’t expect another Dona Cato and you won’t be disappointed. I heard the owner has a nickname for all his customers. Very good memory. He even has his own videos on youtube.